Jamie Spencer, blogging at Austin Criminal Defense Lawyer, builds this week’s Blawg Review on the scaffolding of the Bill of Rights — not a bad choice of organizing principle for a legal endeavor. 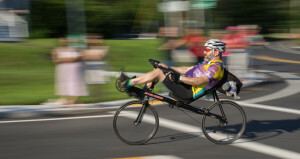 And thanks, Jamie, for plugging my participation in the upcoming Pan-Mass Challenge fundraiser for the Dana Farber Cancer Institute’s Jimmy Fund, in addition to my BR submission. Any and all support — moral as well as monetary — is welcome.